Evil masquerading as the church | The Old Adam Lives! http://www.JewishWorldReview.com | The Supreme Court has decided to take a case that may change the boundaries for types of speech protected by the First Amendment. The case was brought by a Maryland man whose son’s 2006 funeral was picketed by members of the Westboro Baptist Church in Topeka, Kansas. 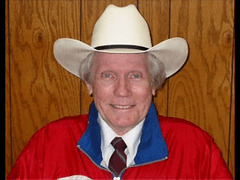 Members of the “church” consist of “pastor” Fred W. Phelps Sr., and his family who preach a false doctrine that basically claims American soldiers are dying in combat because of this country’s increasingly tolerant attitude toward homosexuals. “Semper Fi F—” and “Thank G0d for dead soldiers” are two of the more outrageous signs displayed by members of the Westboro church at services for some of our war dead. I put “pastor” and “church” in quotations on purpose. Others — one thinks especially of “pastors” who preached segregation and barred blacks from their “churches” at one time — have caused ridicule to be directed at believers in G0d, but the Phelps case may descend to an even lower level of evil. The history of the case is this: a jury in Baltimore awarded Albert Snyder more than $10 million in damages. The amount was reduced on appeal and the case was eventually thrown out by the 4th Circuit Court in Richmond. That panel of three judges said the picket signs could not be reasonably understood to be referring directly to Snyder and his late son, Marine Lance Corporal Matthew A. Snyder. The court said as distasteful as Phelps’ rhetoric is, the expressions are part of a national debate on homosexuality and so it is protected speech. Hentoff is right. The venue for military funerals is not a college campus or a political rally. Very often it is a church or synagogue. Even if it is a secular venue, the sexual behavior or orientations of dead soldiers and their families are unknown to the Phelpses, who are using a family’s grief to advance a judgmental attitude that is rejected in the Scripture in which they claim to believe. Someone should remind them that the Devil could quote Scripture, too.